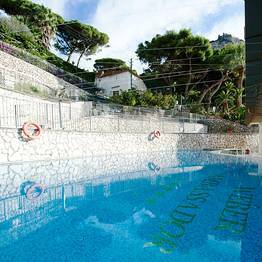 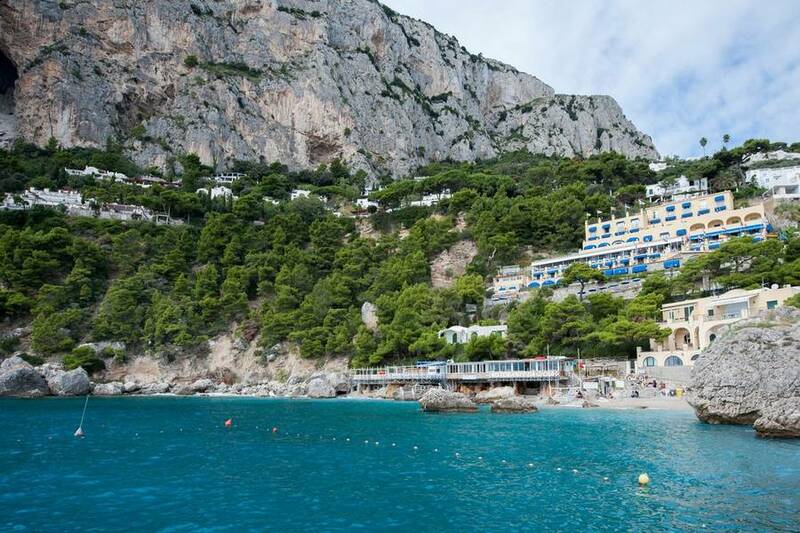 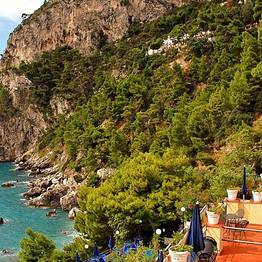 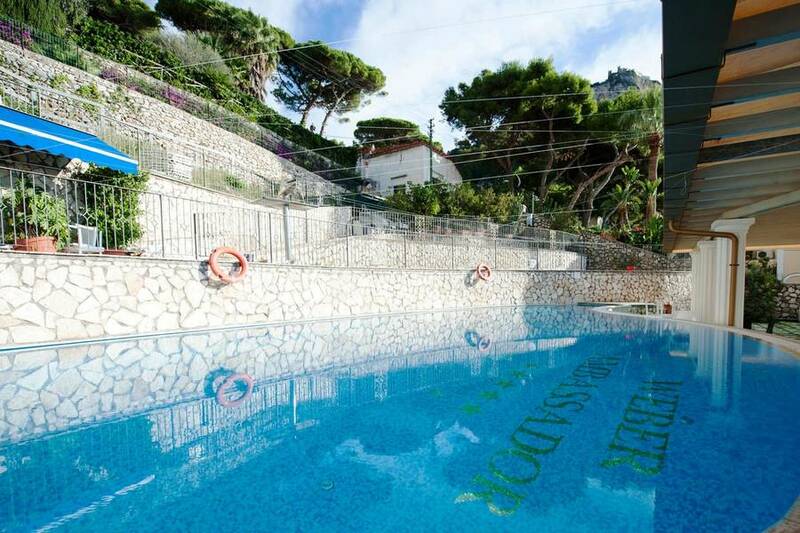 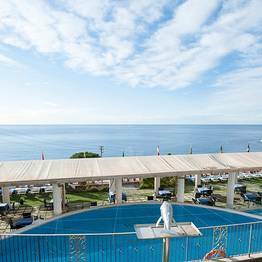 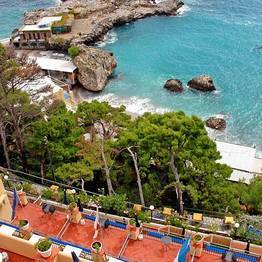 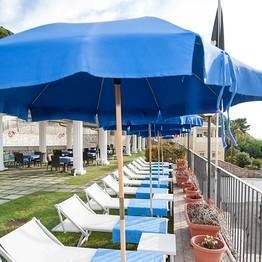 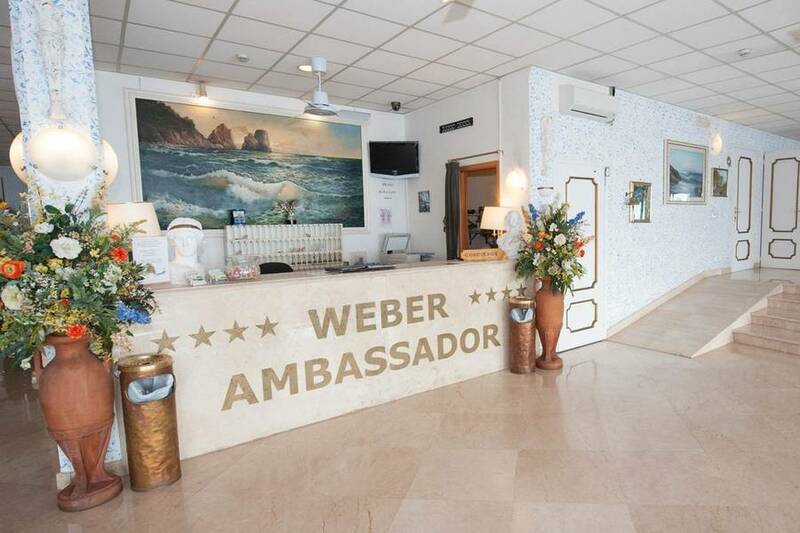 Hotel Ambassador Weber Capri: 3 reasons to book here | Capri Booking. 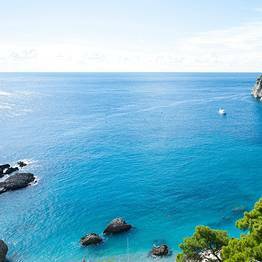 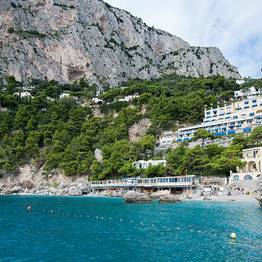 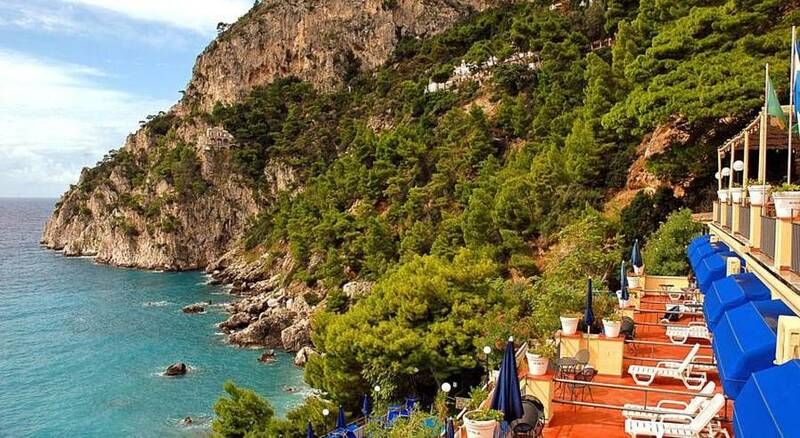 It would be difficult to find a more fashionable and sought after location than Capri's Marina Piccola, the beautiful bay opposite the Faraglioni rockswhere the international jet set, celebrities and members of the various Royal families choose to moor their yachts each summer. 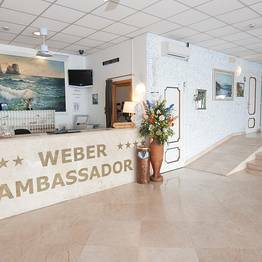 It is here, in this paradisiacal setting, that the Ambassador Weber Hotel was built, just a stone's throw away from the beach. 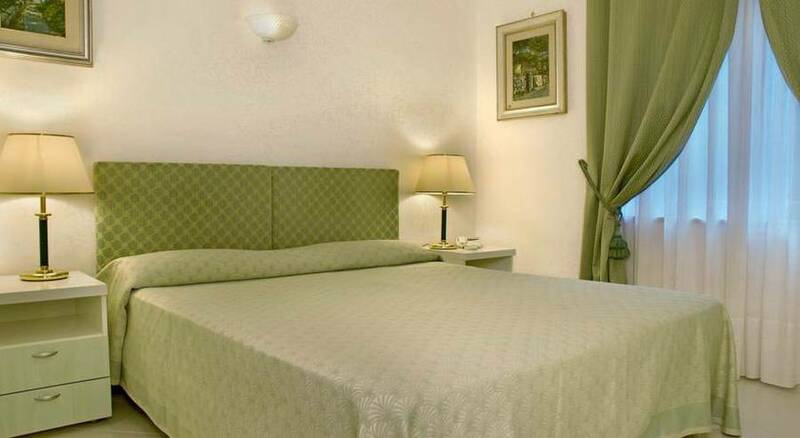 Whether you stay in a standard, deluxe or superior room, you can expect to enjoy the very same levels of comfort. 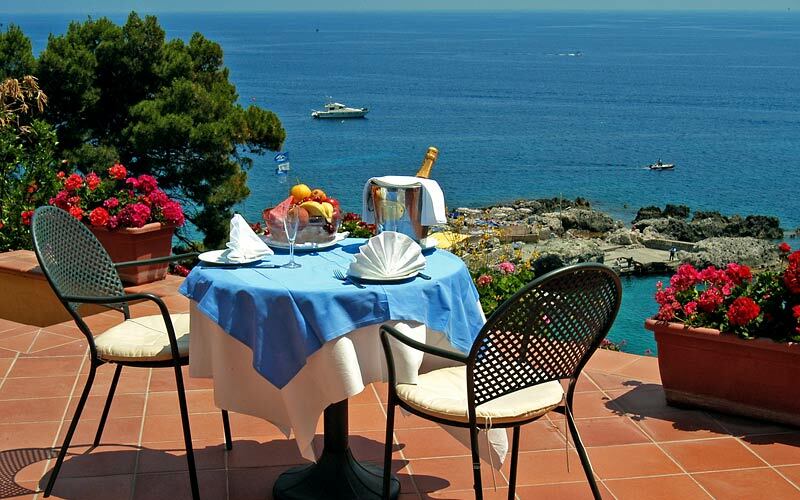 Looking for luxury? 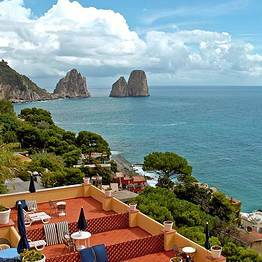 Book one of Ambassador Weber's elegant suites, many of which enjoy marvelous views of the Faraglioni. 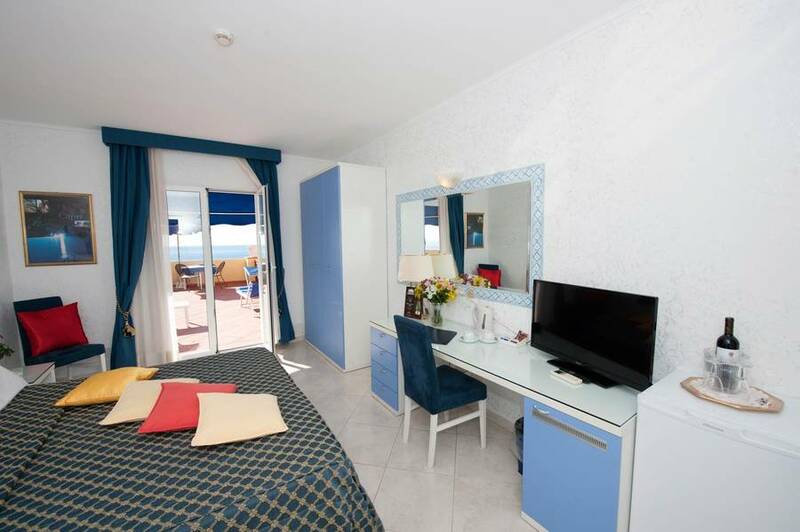 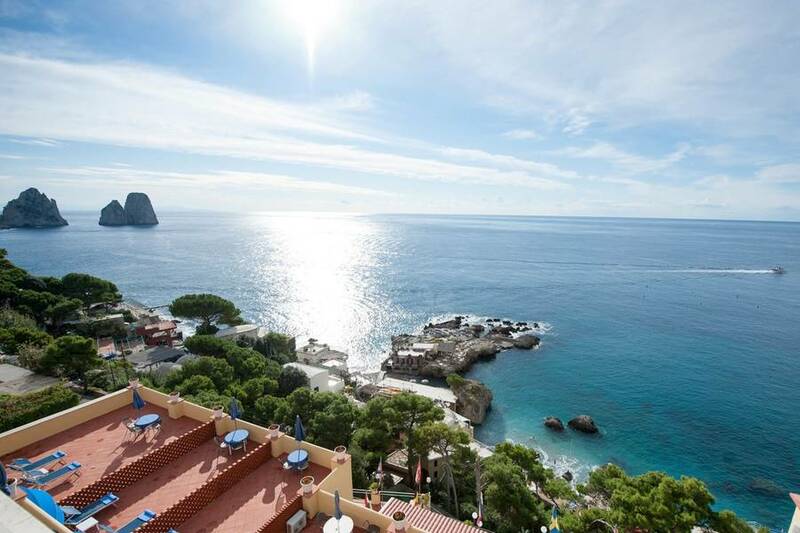 The beach of Marina Piccola is just 8 meters away from Hotel Ambassador Weber! 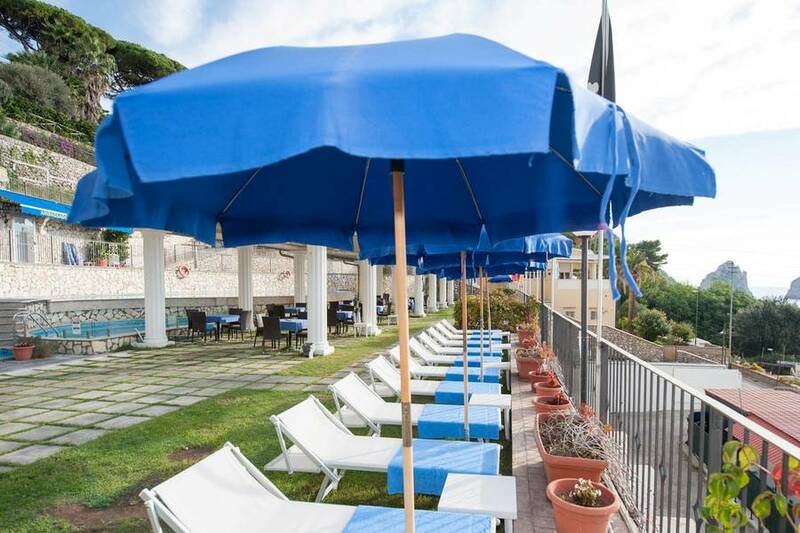 If you're organizing a meeting or corporate event in Italy and are looking for a location with wow! 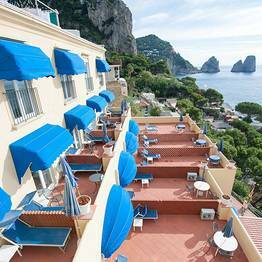 factor, you'll love Capri's Ambassador Weber and the hotel's state-of-the-art conference room. 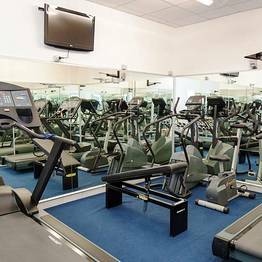 On-site leisure facilities include a hi tech gym and three heated swimming pools, two of which with hydromassage and one for children. 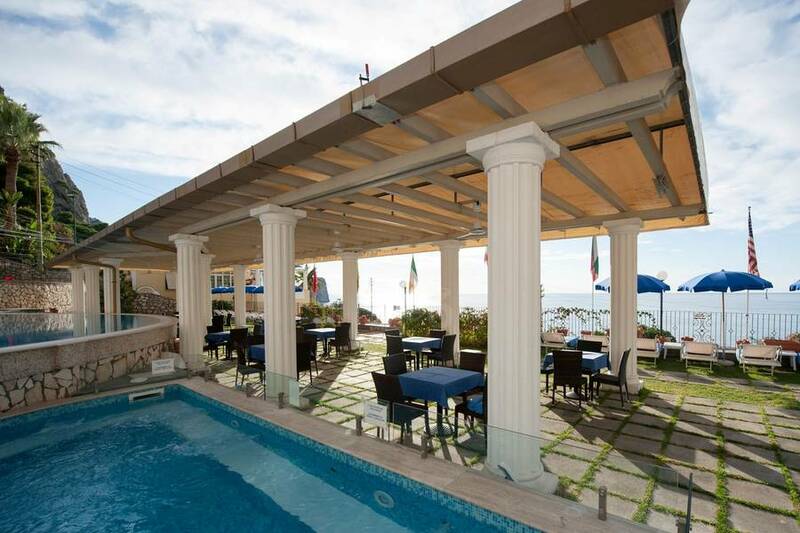 The hotel offers special discounted rates for a number of leisure and sporting activities including guided tours, bike, car and boat rentals, wind surfing, kayaking, water scooters, sailing lessons, and scuba diving. 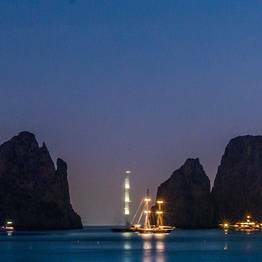 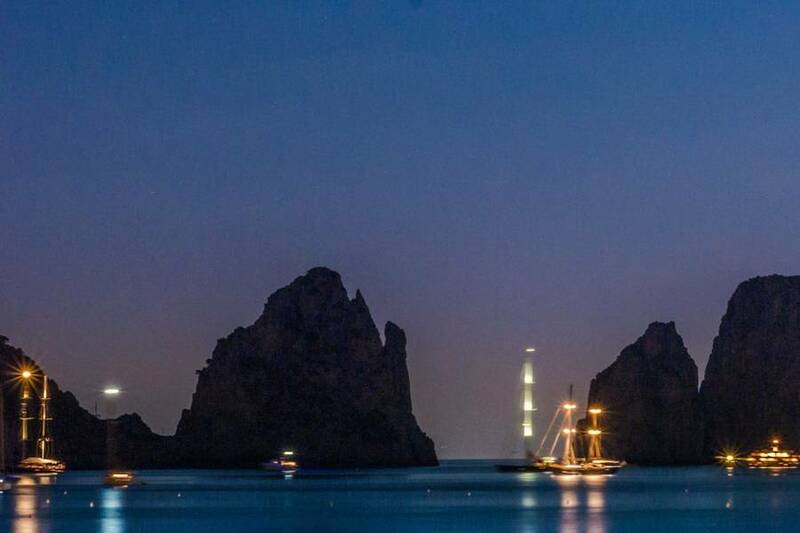 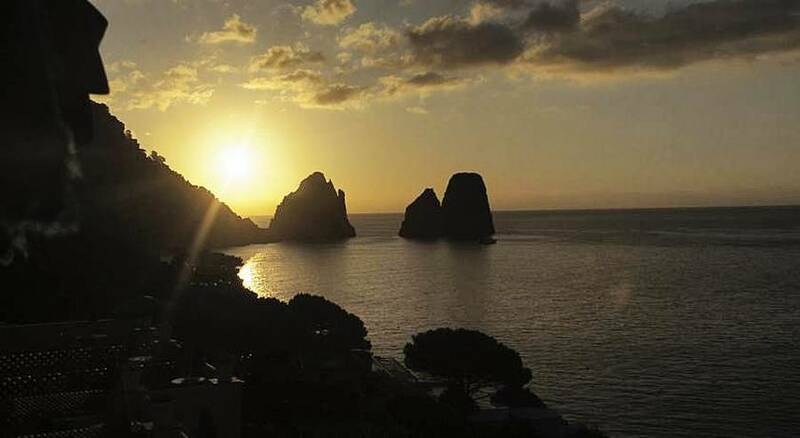 The peaceful bay of Marina Piccola may well seem like a world away from the celebrity-packed Piazzetta and the bustling streets of Capri, and yet, thanks to the hotel's free shuttle service, guests can quickly reach the town center... at any time of the day - or night! 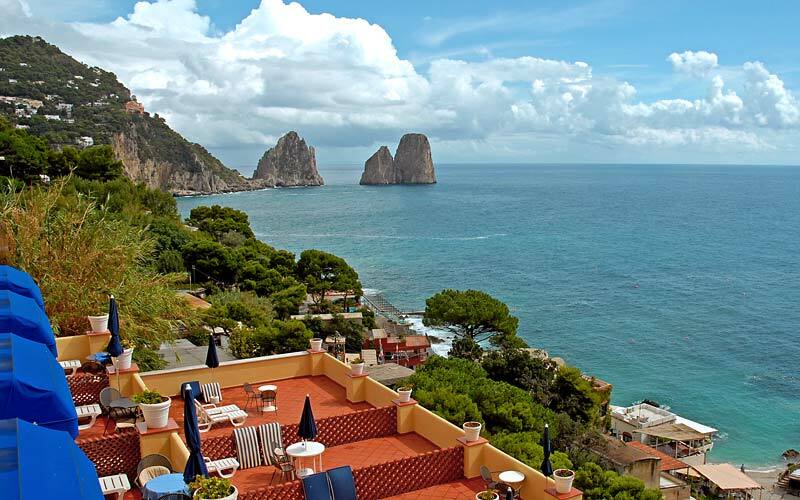 "The free shuttle service from the hotel to the center was quick and extremely convenient: we never had to wait more than 5 minutes and the drivers were always polite and helpful. " 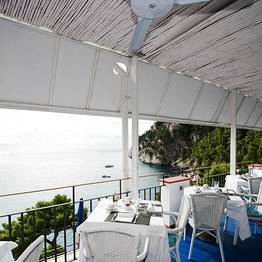 "The sea view bedrooms open put on to a terrace with table, sunshade and lounger and a breathtaking view of the Faraglioni. " 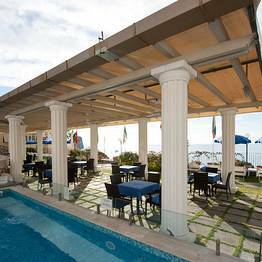 "When we checked-in, we were offered complimentary fresh drinks and nibbles. " 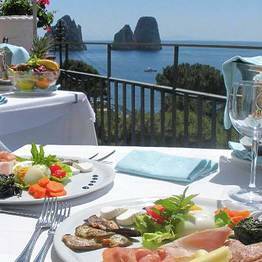 "Great location, breathtaking view and good service at the hotel!!" 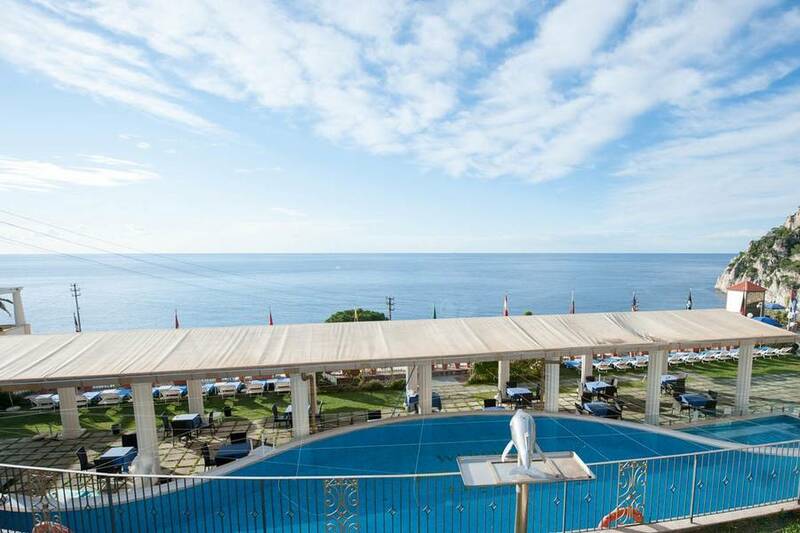 "This hotel is ideal if you want to spend the day by the sea and the evening out on the town." 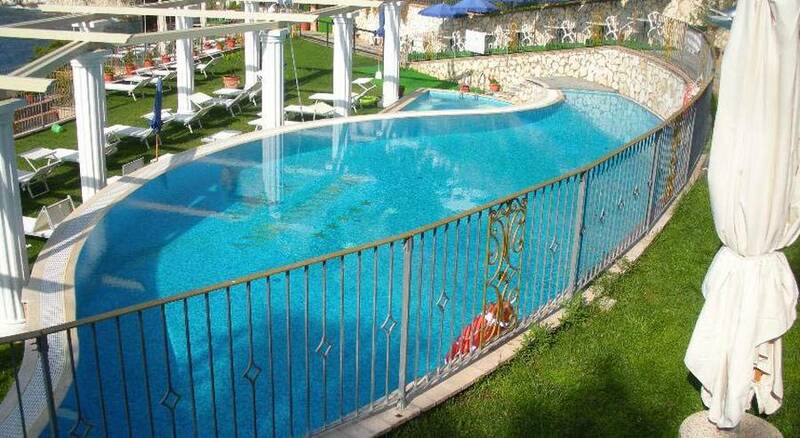 "The two swimming pools had lots of sun loungers and a good supply of towels. 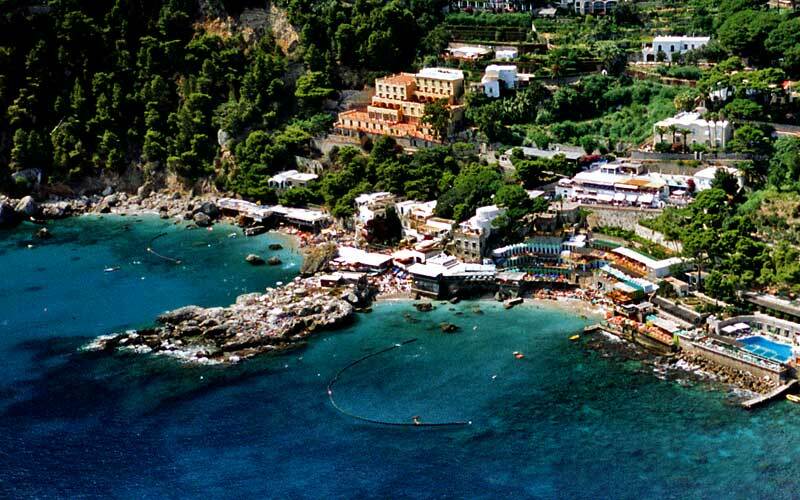 Really nice when the beach of Marina Piccola got too crowded. " 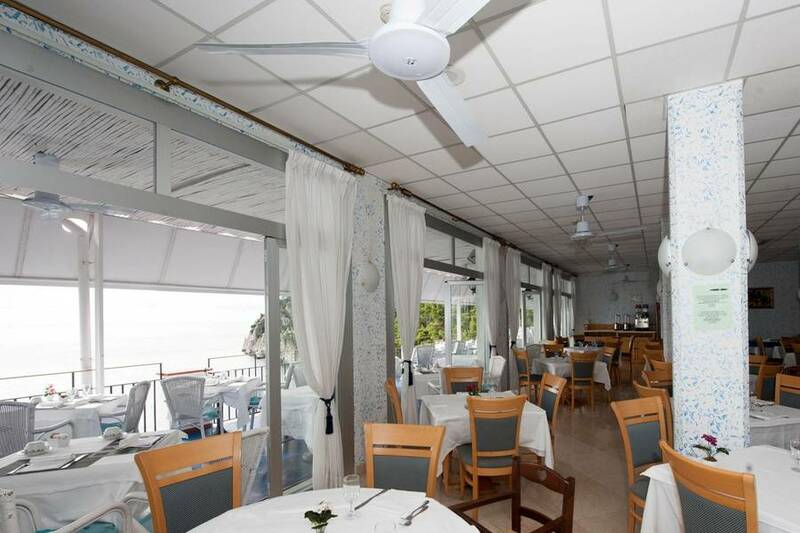 "Fantastic location, great service. 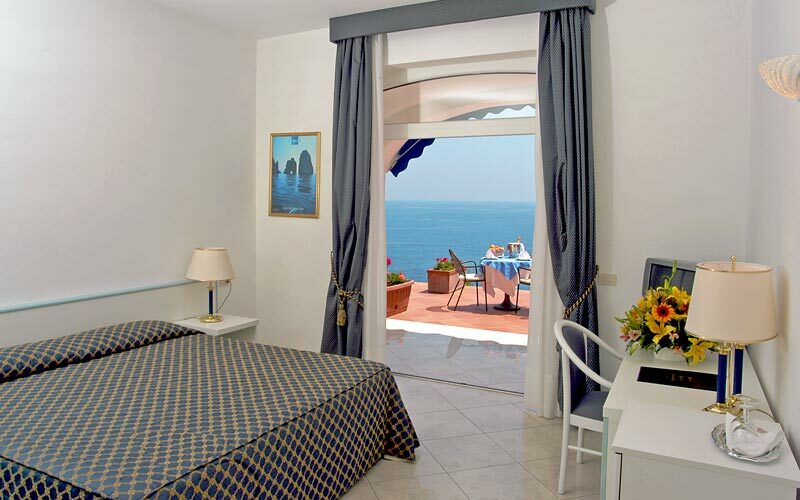 We really enjoyed our room, the scenery was breathtaking! " 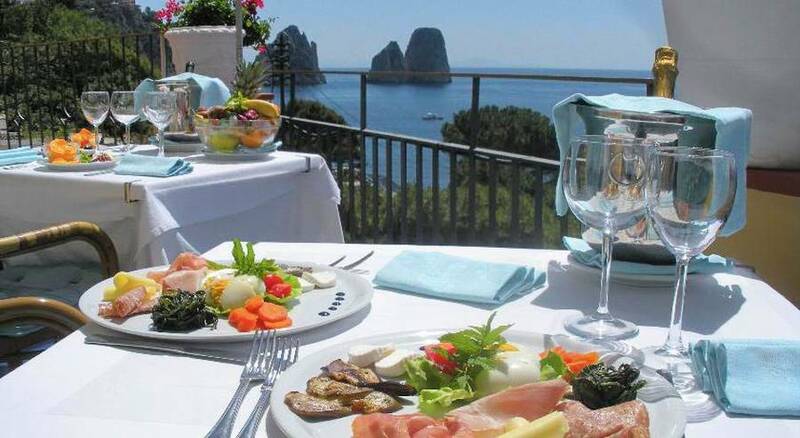 "The cost of breakfast was not included in the room rate but, given the variety of sweet and savory specialties available, it was well worth it." 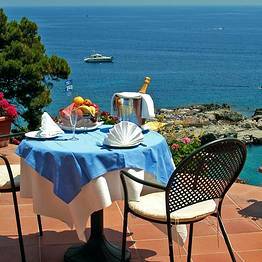 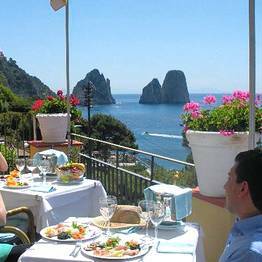 "Absolutely wonderful place with perfect view of Il Fariglioni!" 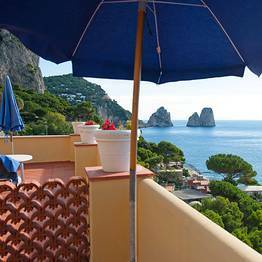 "We LOVEd our time in Capri, and at the Weber Ambassador. 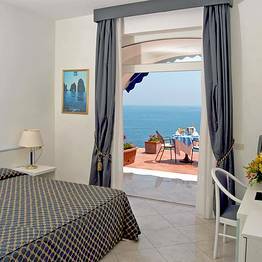 Other than the internet (we are used to wi-fi access readily everywhere we go so it seemed a little old-fashioned), it was a perfect stay." 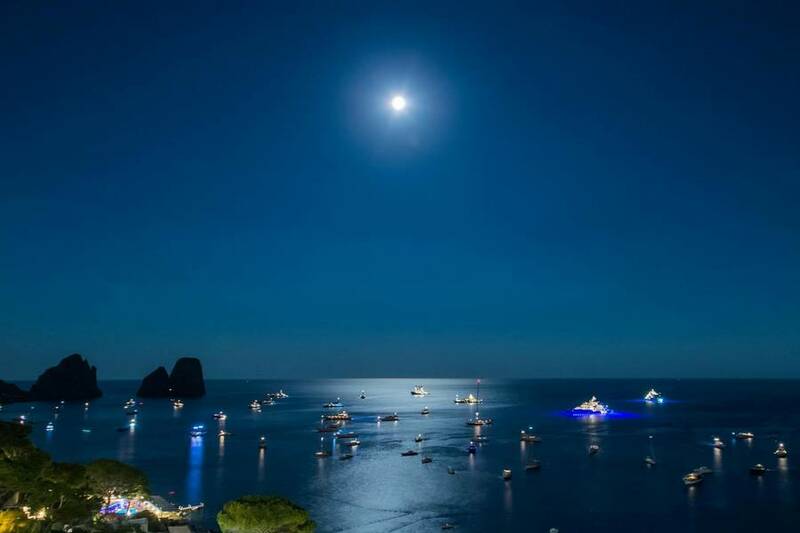 "We did NOT like the terms for the internet useage. 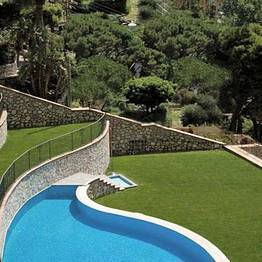 It was too much money and too restricted once you did pay for it. 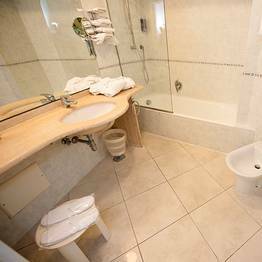 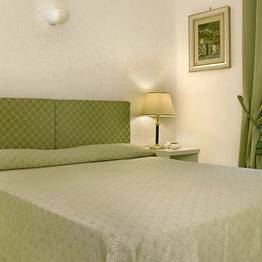 For a hotel of this quality, we felt as though it should have been included." 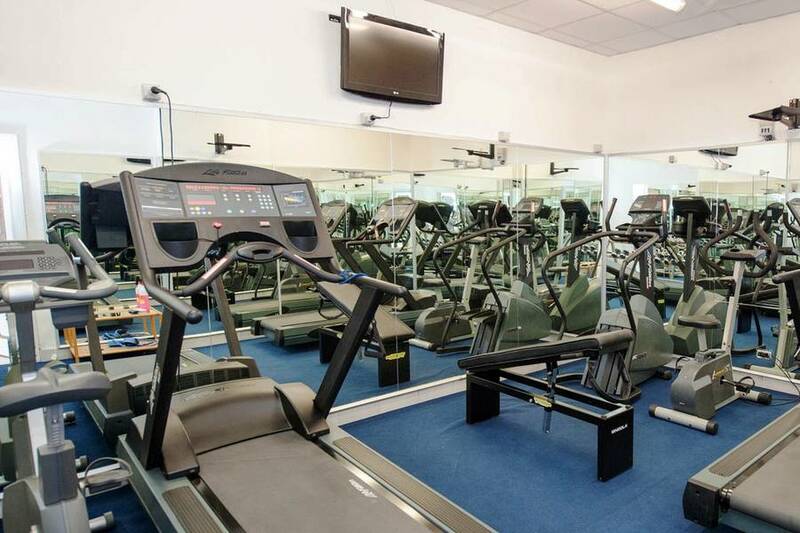 "Great free shuttle service into the centre made the trip so much easier. 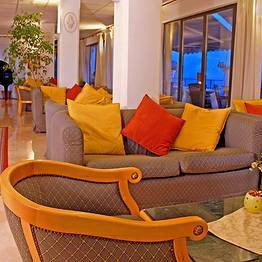 Staff are very helpful. " 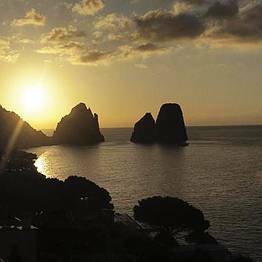 "The internet facility was a let-down compared with all other places in Italy. 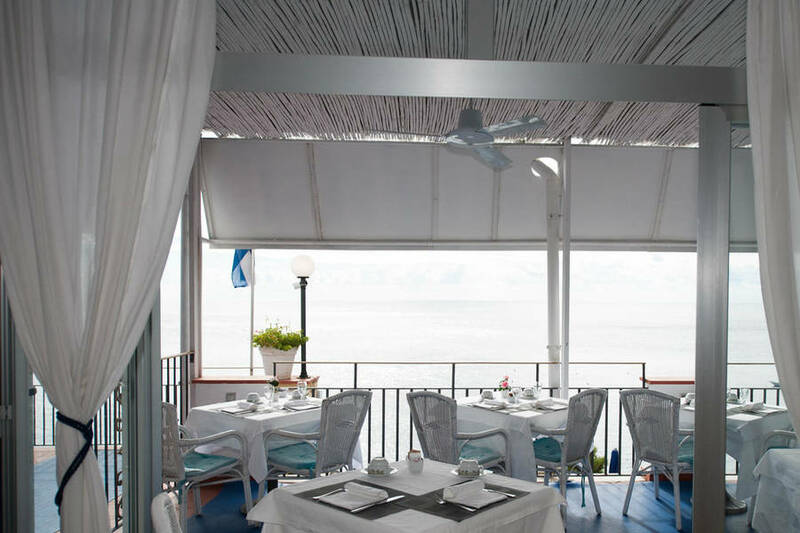 Having to pay by the half-hour, and being only able to access it in the lobby was poor." 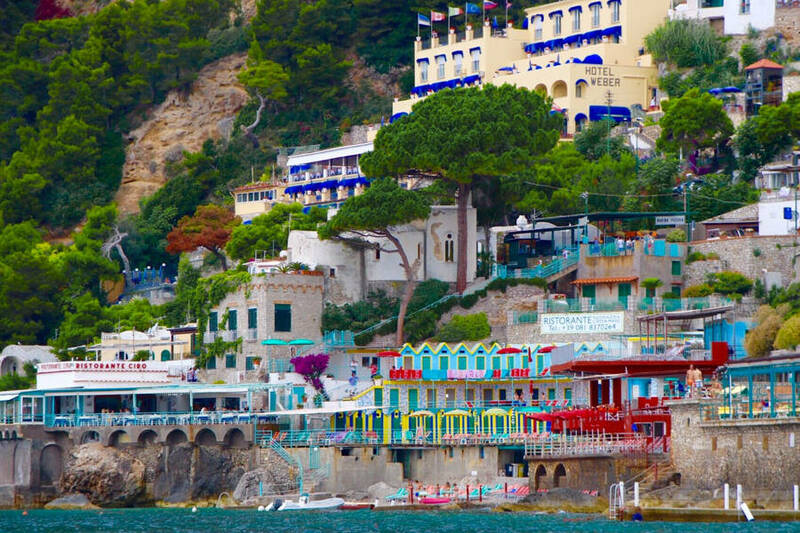 "Wifi paid is something unacceptable today! 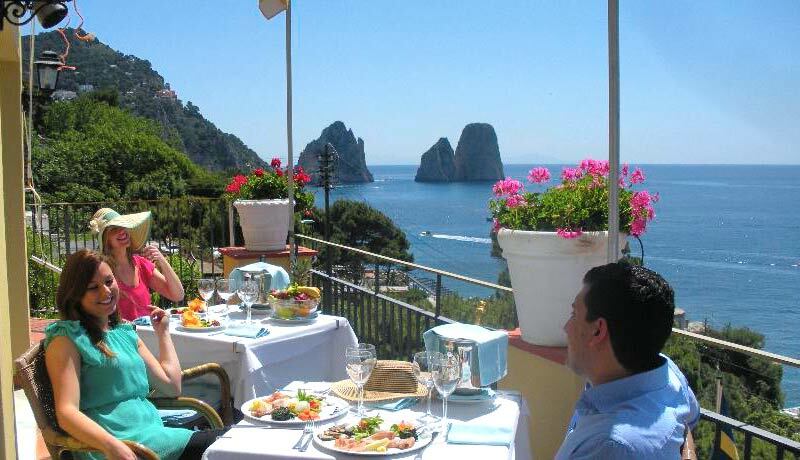 The staff was very friendly and the scenery was amazing!!!" 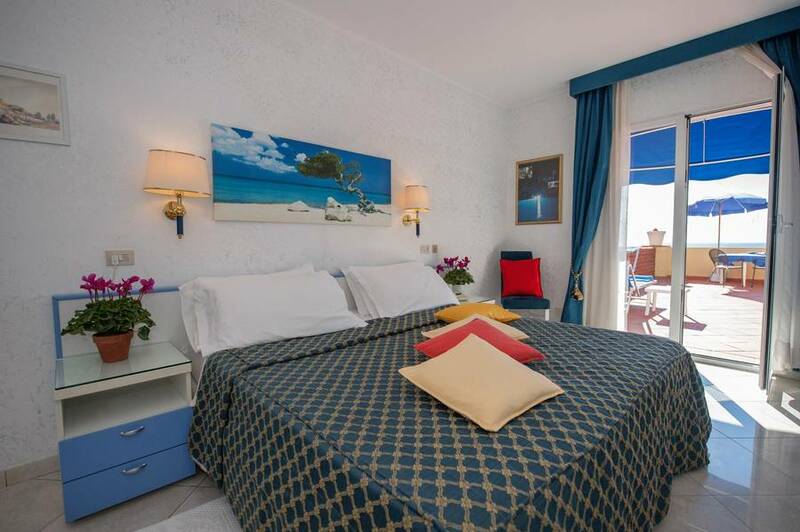 "I have been travelling ALL over the world for 40 years and I would find our stay here hard to beat - everything perfect - with some of the friendliest and kindest staff that I've ever met." 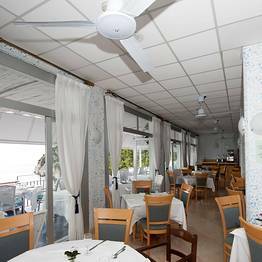 "The staff in the hotel and restaurant were excellent. 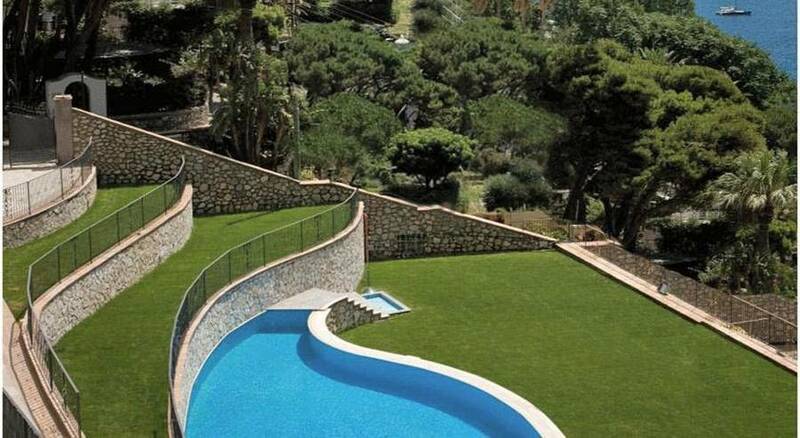 Such nice people. 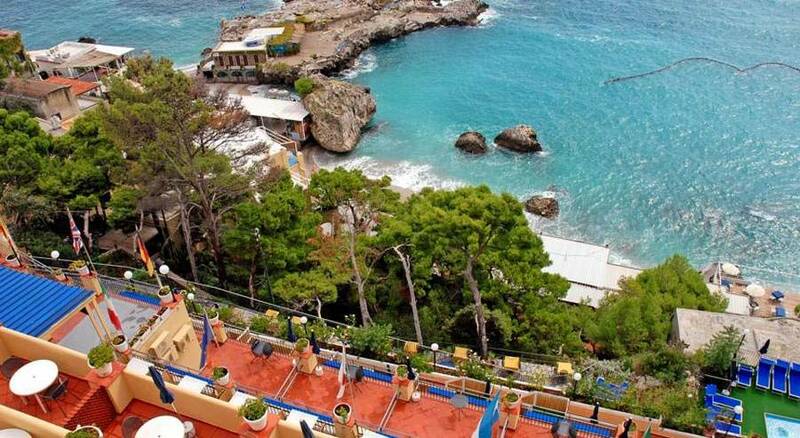 The views from our room was wonderful. 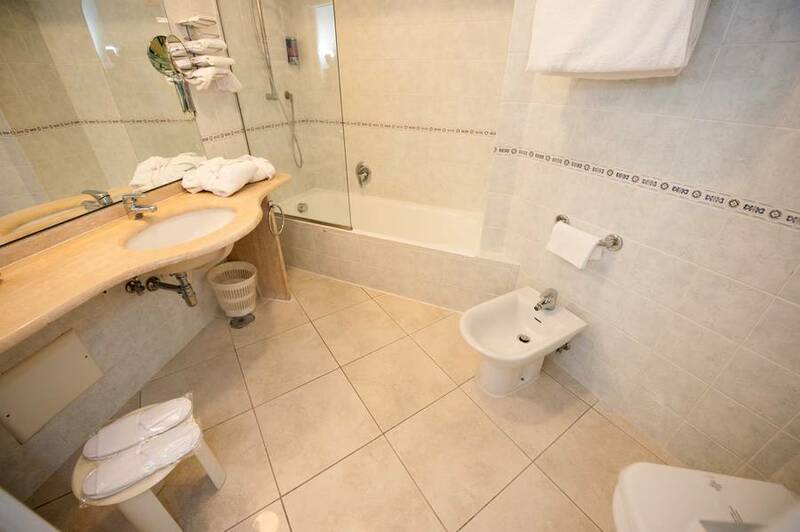 The room was a little small but, not a big deal. 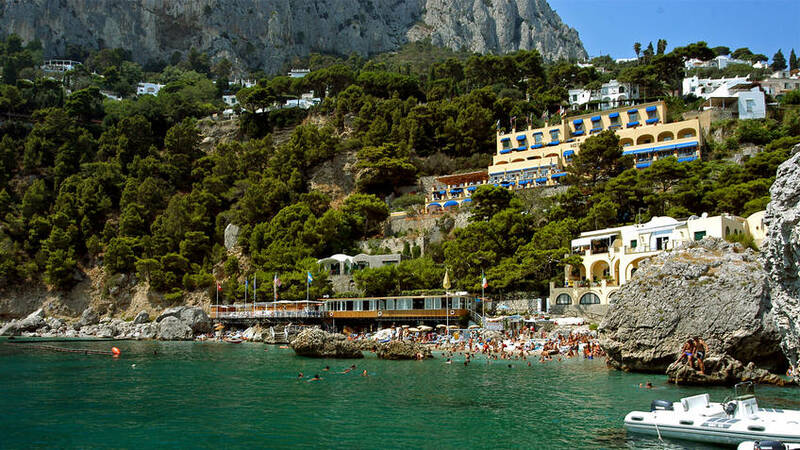 We plan to go back! " 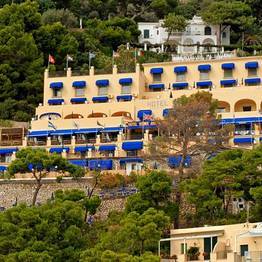 "This is one of our top hotels we stayed at on our trip. 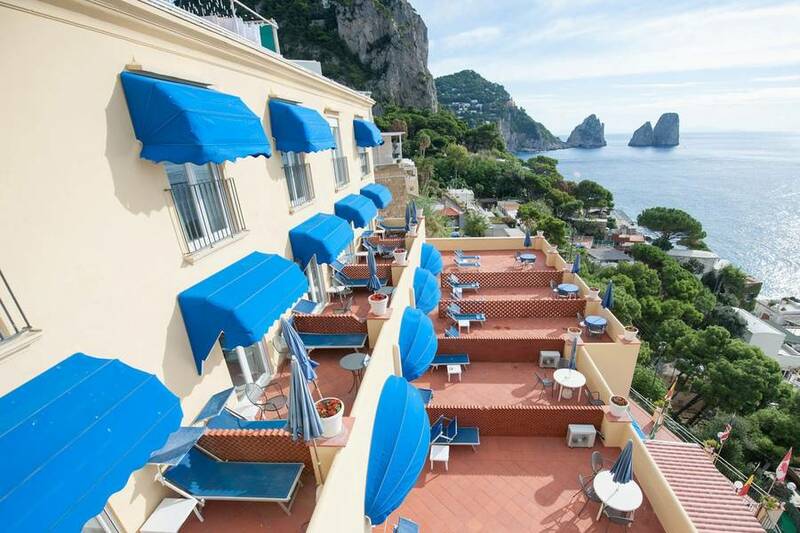 We have recommeded it to all and plan on staying there again if we come back to Capri or if there are any other locations!!!!" 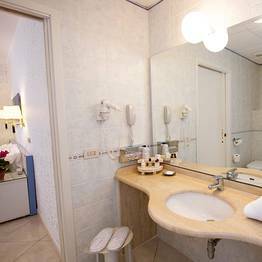 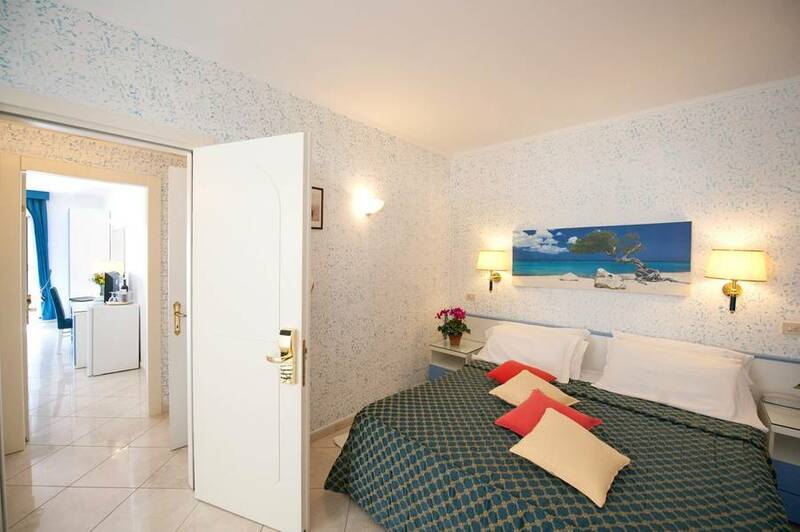 "Rooms were a bit weary looking and the television was outdated. 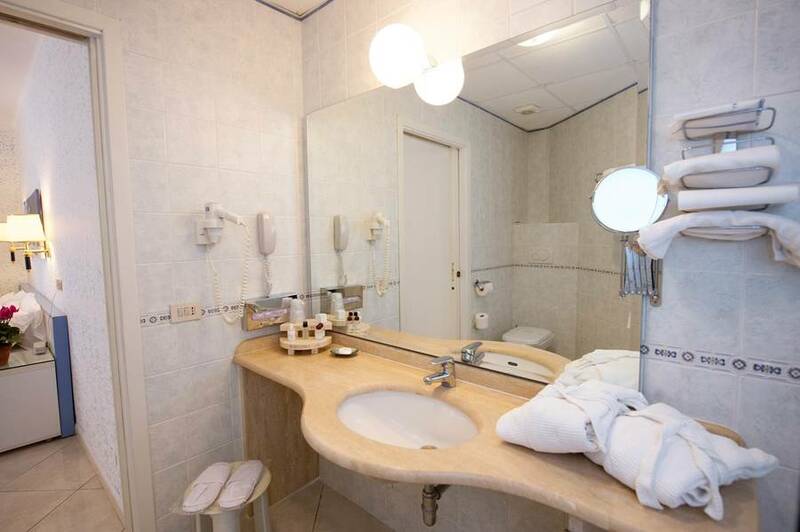 They were, however, spotlessly clean. 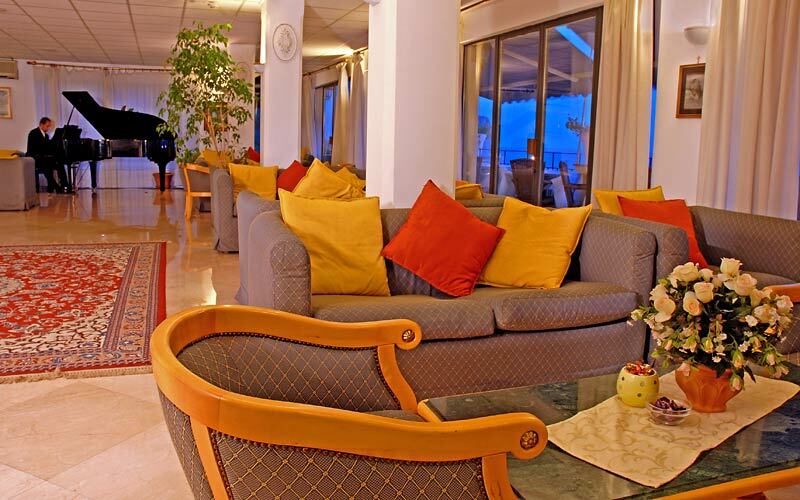 Everybody was extremely friendly and we felt thoroughly pampered. " 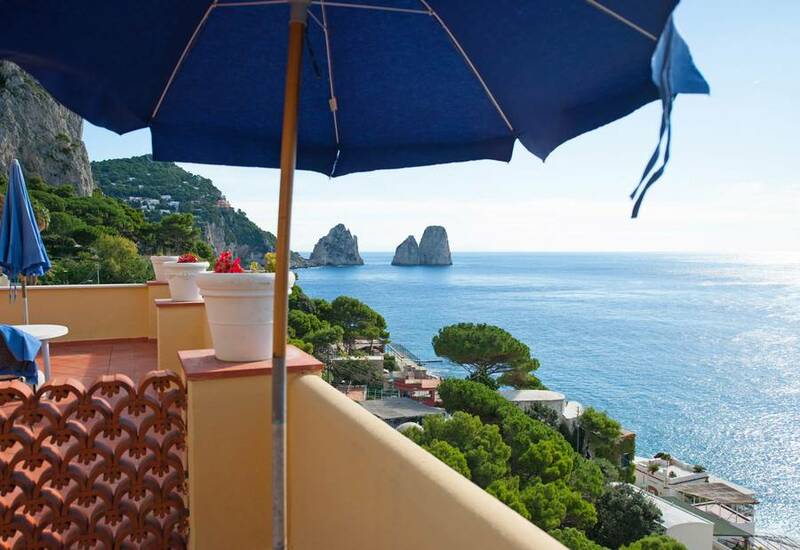 "The view is breathtaking indeed, but our roum, despite its view, did not have a balcony." 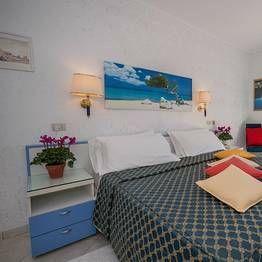 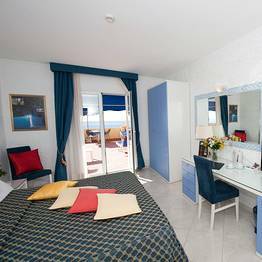 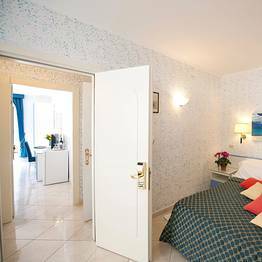 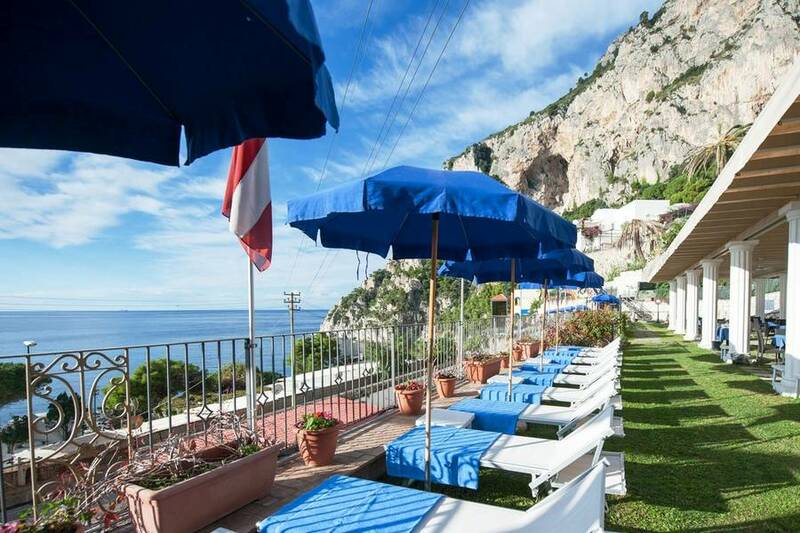 "This hotel was the best place where we could spend our holidays.I recommend it to everyone who wants to have unforgatable holidays in Capri. 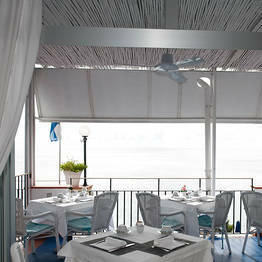 The service was much more better comparing to price we paid"
"Getting to the hotel from the dock was a bit tricky. 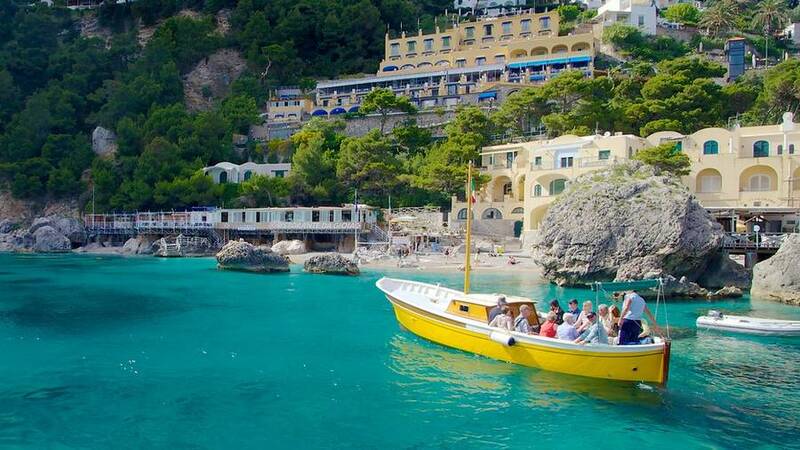 We didn't know to call the hotel shuttle or about the reasonable charge for that service. 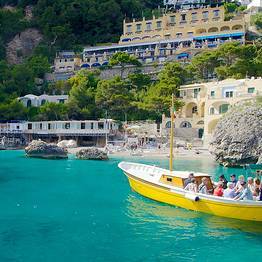 Instead we took a cab at a greater expense." 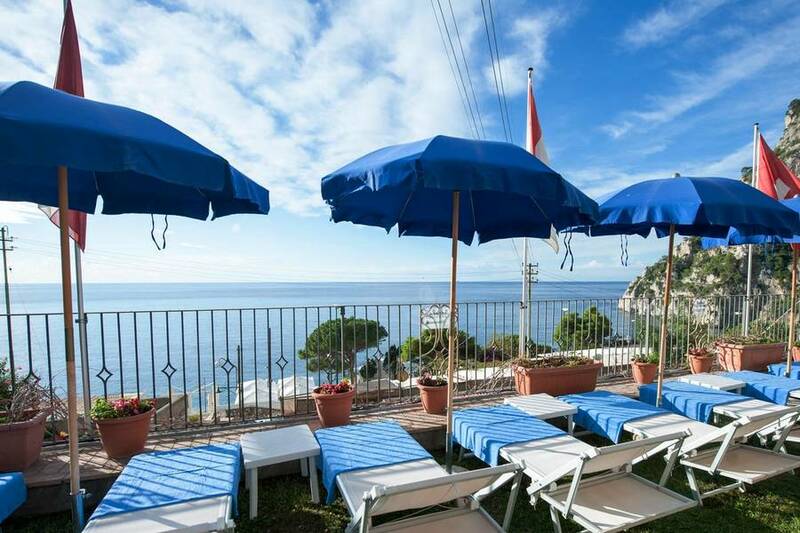 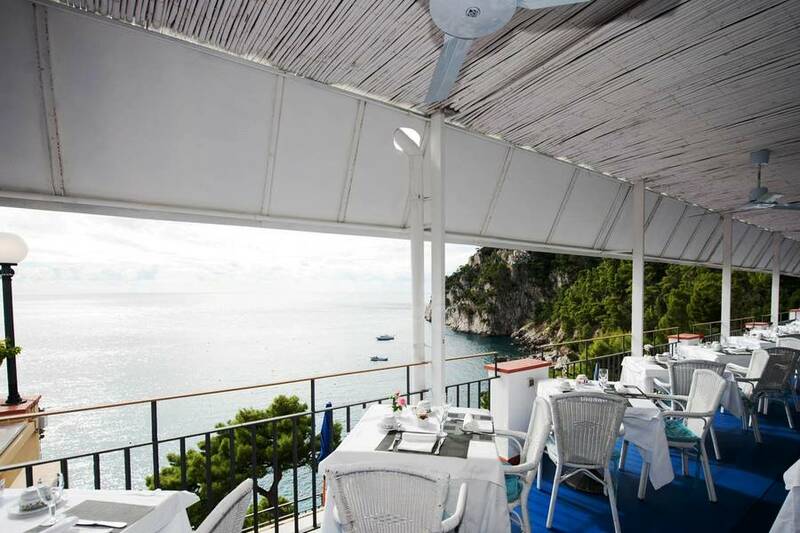 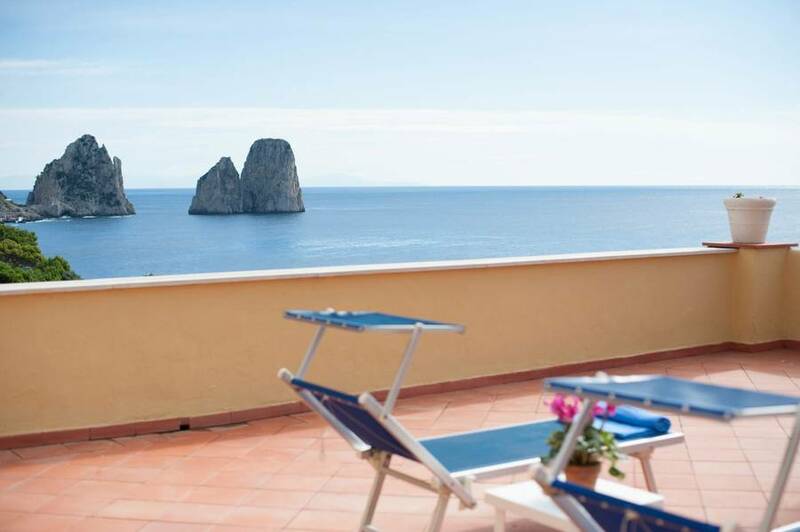 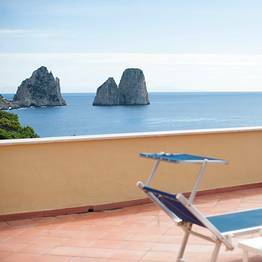 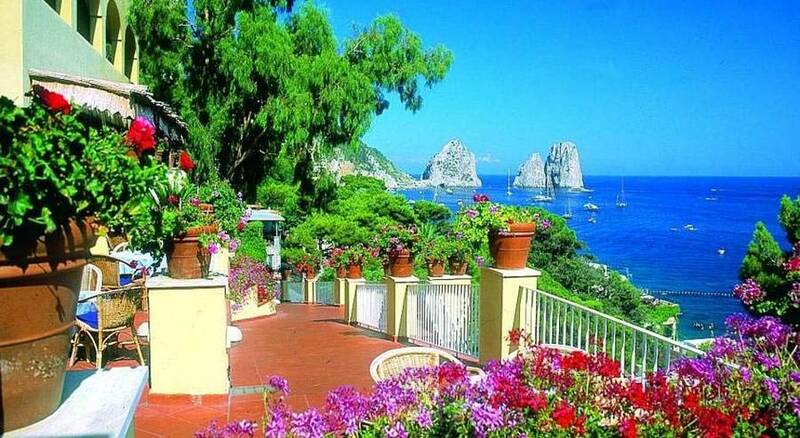 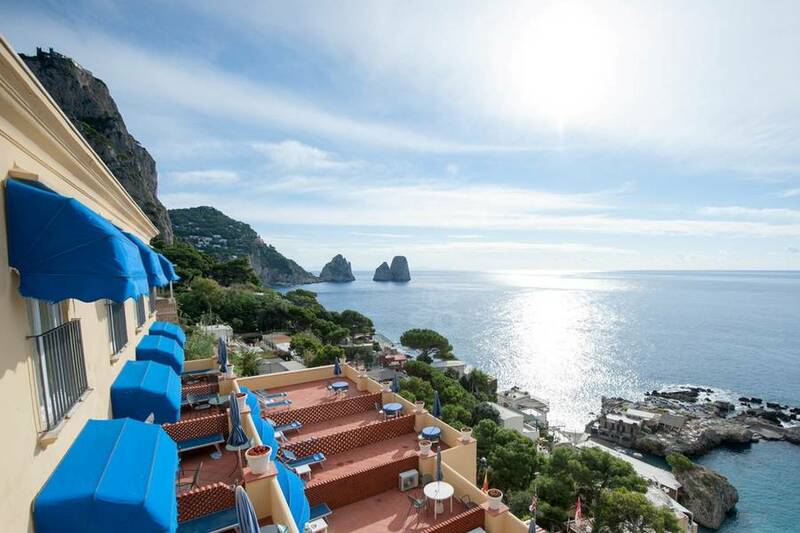 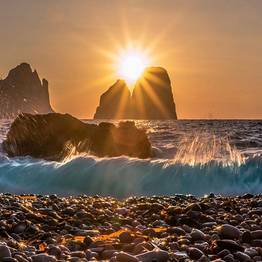 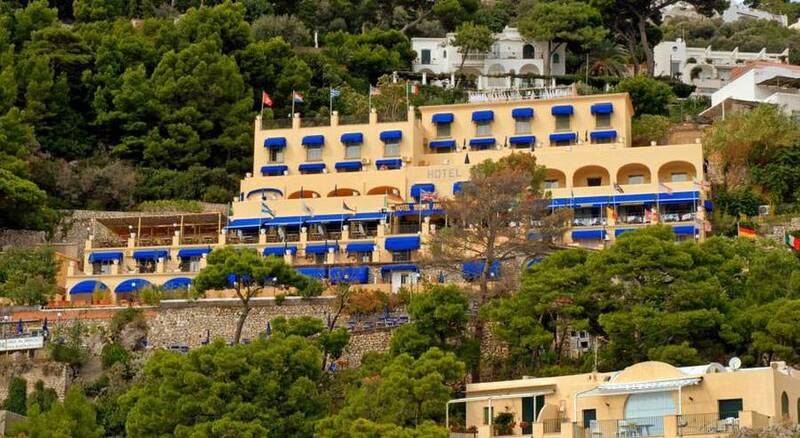 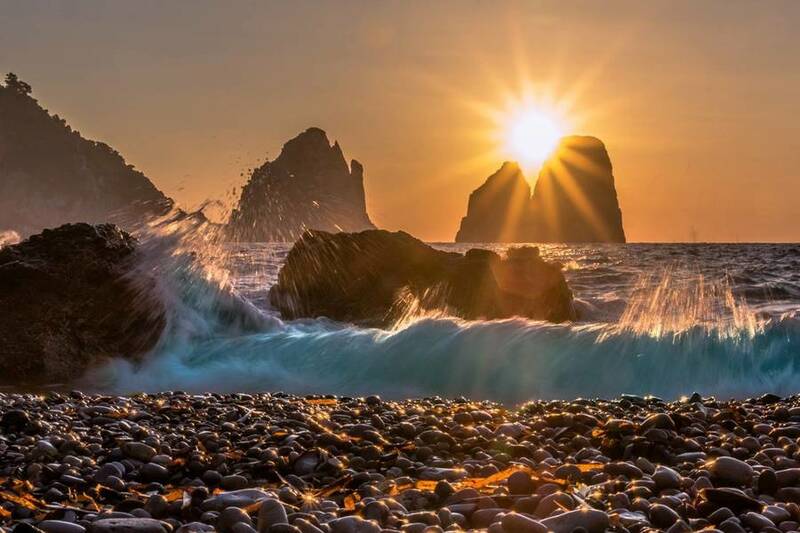 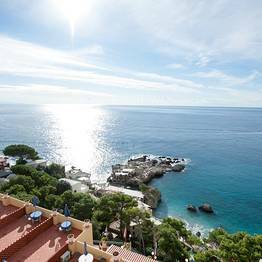 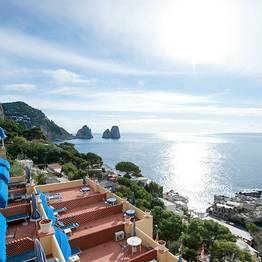 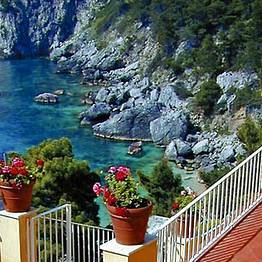 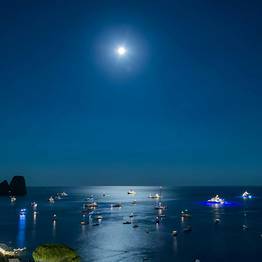 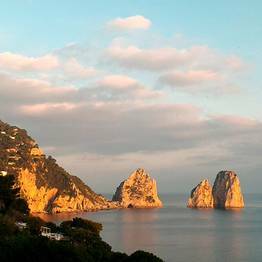 'Hotel Ambassador Weber is located in one of the most beautiful corners of Capri: the splendid Bay of Marina Piccola, from where an unforgettable view of the Faraglioni rocks can be seen. 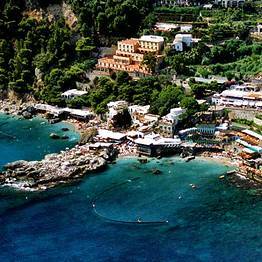 Marina Piccola is home to the island's most famous beach clubs. 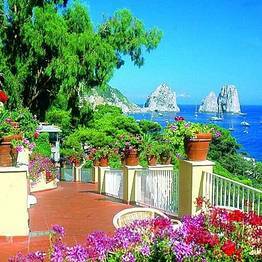 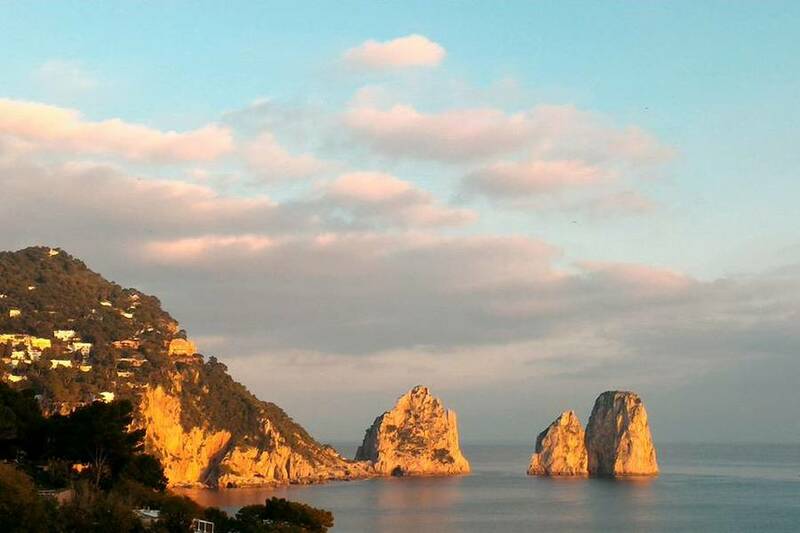 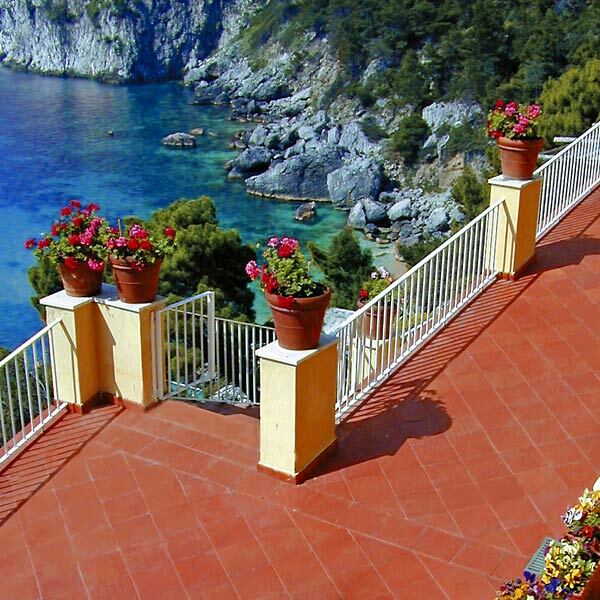 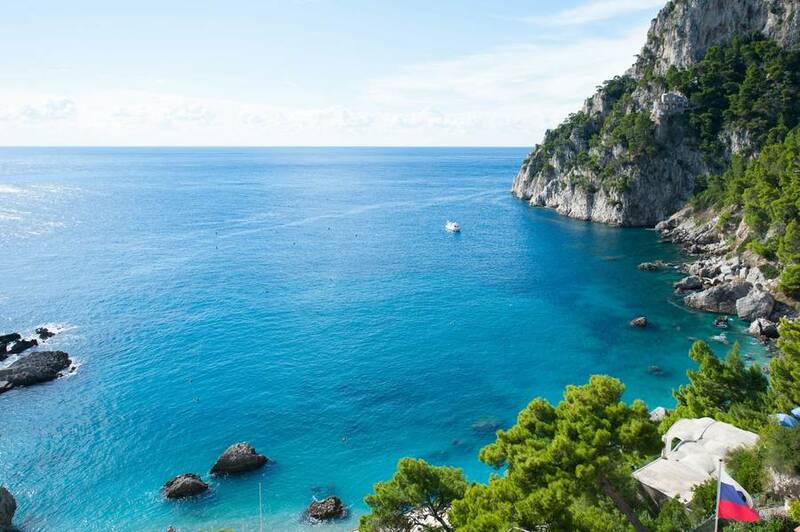 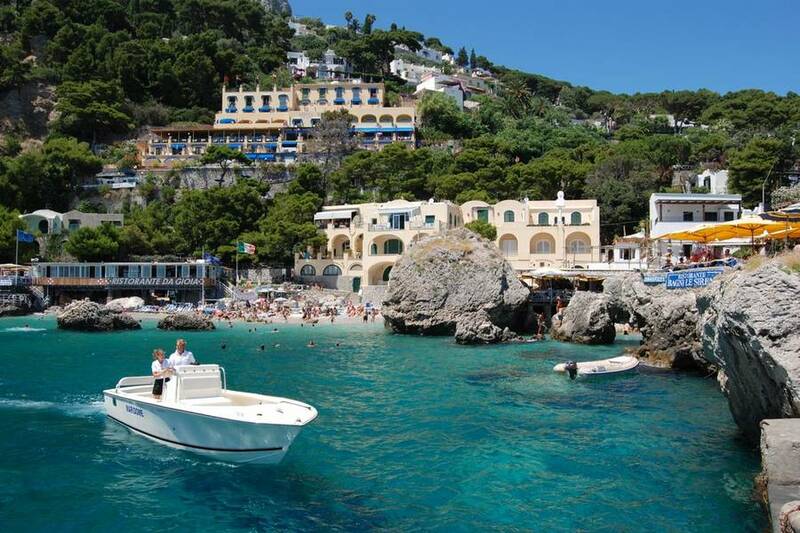 To reach the center of Capri, you can take the hotel's shuttle bus or walk up the picturesque Via Mulo or Via Krupp.